Editor’s Note: While we’re in Portland over the next few weeks, we wanted to bring some local flavor to the blog by asking writers who live in the area to contribute Hotpot-style city guides: recommendations on where to eat, where to shop, where to hang. Below, locally based writer Geoff Kleinman shares how Hotpot recommendations guided him through a night of Portland barhopping. Be sure to join the conversation in the comments below. One of the things I love about Hotpot is the way it uses my ratings and my friends' ratings to point me toward places that are the best match for me and my tastes. While I've discovered some great businesses in my Google searches using Hotpot from the comfort of my home’s desktop computer, I thought it would be fun to take Hotpot on the road using my Android phone, acting as my “person in the know” on a recent Portland barhop. First stop: Irving Street Kitchen. 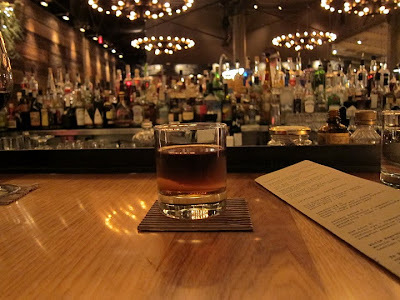 For the first stop, I wanted to find a place that was known both for its good food and good drinks. Irving St. Kitchen was recommended to me on Hotpot because I had rated Beaker & Flask 5 stars and my Hotpot friends had rated Irving St. Kitchen highly. The Place page for Irving St. 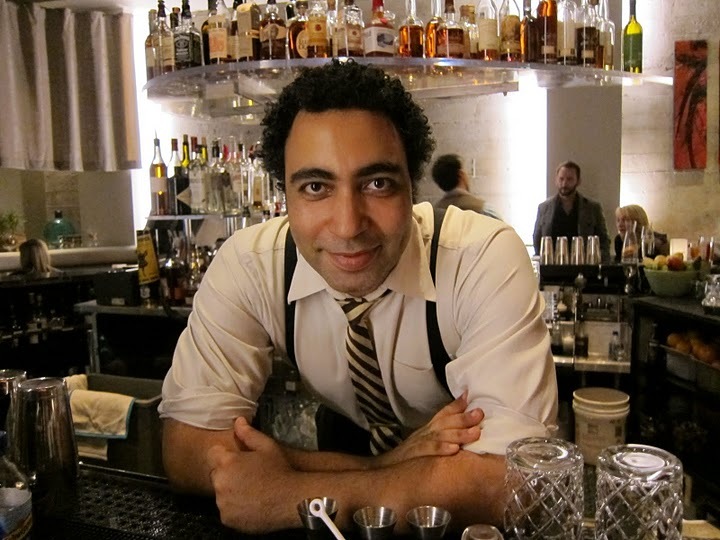 Kitchen had several Best Ever awards and most of them talked about the amazing drinks and bartenders such as Brandon Wise and Allison Webber. It seemed a perfect place to start our hop. Allison Webber whips up something tasty. When we arrived at Irving St. Kitchen and took a seat at the bar, Allison made us a few great classic cocktails. My favorite was a variation of the Negroni — a White Negroni that was flavorful, balanced and a perfect before-dinner drink. 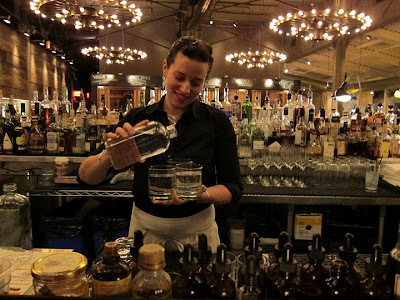 White Negroni at Irving Street Kitchen. Allison made some food recommendations including a beet salad with truffles, fresh salmon over lentils, and our favorite dish of the evening, a shrimp and crab fusion dish served over a savory bread pudding. 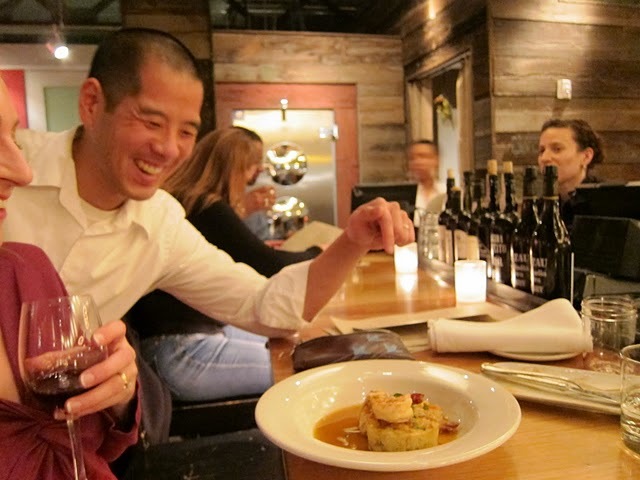 Shrimp, crab and bread pudding - True Fusion at Irving Street Kitchen. We probably could have spent the entire evening sitting at Irving Street’s bar, but we were on a mission to hop with Hotpot. Using the Rate Places widget for Android, we gave Irving St. 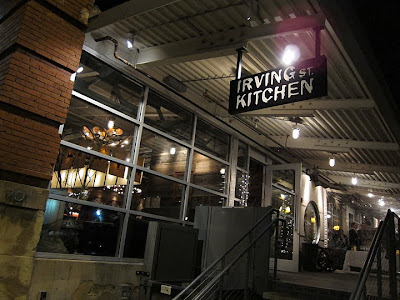 Kitchen a glowing rating, then used the Android Places app to look for other bars nearby that friends had recommended. Clyde Common came right up. It was just down the street and recommended by our friend Jennifer Heigl on Hotpot. 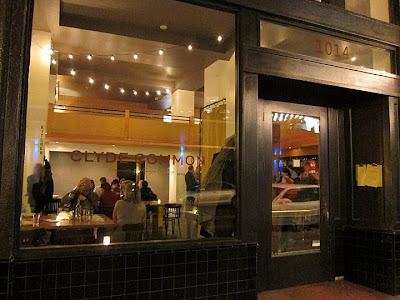 Checking out Clyde’s Place page, we read that the restaurant is the home bar for noted bartender and blogger Jeffrey Morgenthaler. 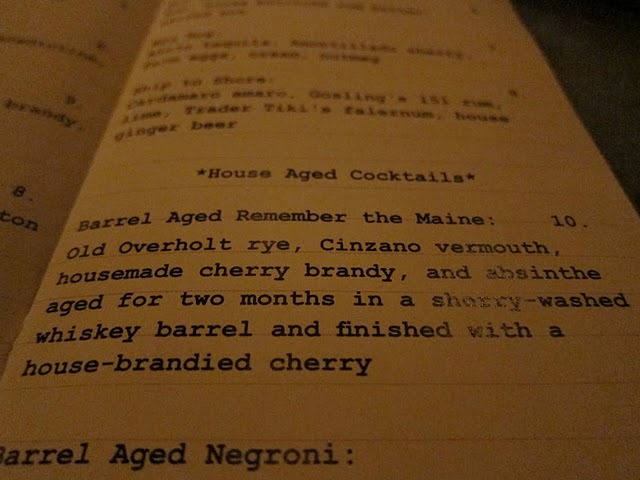 Several of the reviews referred to the barrel-aged cocktails, so when we sat at the bar we immediately ordered one. Jeffrey Morgenthaler's famous barrel-aged cocktails. Jeffrey wasn't behind the bar that night, but Andrew Volk was, and in addition to mixing up a few barrel-aged drinks for us, he also made an original Islay scotch cocktail that simply blew us away. 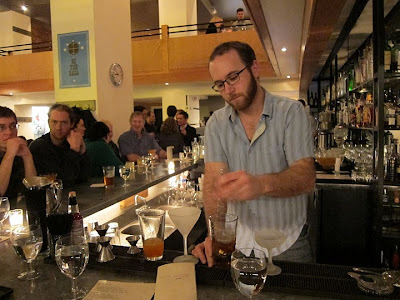 Andrew Volk works the Clyde Common bar. Clyde Common is a little bit of a way station bar, and we found that our group grew a bit as we headed along to our next stop. 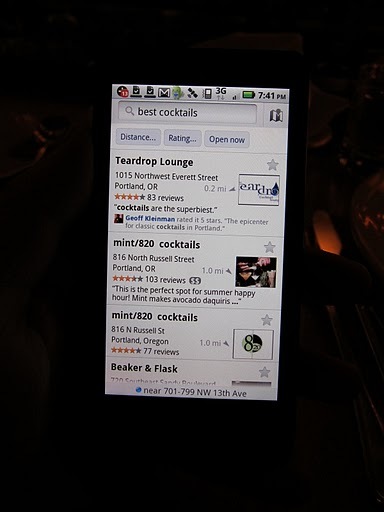 This time around, instead of looking for a nearby bar, we wanted to see what would happen if we just asked the Places app to search for the "best cocktails." Third and final stop: Teardrop Lounge. So far Google Places with Hotpot hadn't steered us wrong, and it was doing a great job of being the “person in the know.” Teardrop Lounge came up on the list and it was just around the corner, so we made our way over. Many of the reviews on Teardrop’s Place page talked about its classic cocktails, so we sat at the bar and checked out the massive cocktail menu, which has close to 30 different drinks listed. A little daunted with the menu, we got help from bartender Brian Gilbert, who spent a lot of time with our group getting to know what kinds of things we drink. Brian Gilbert helps us decide what drinks to order at Teardrop. 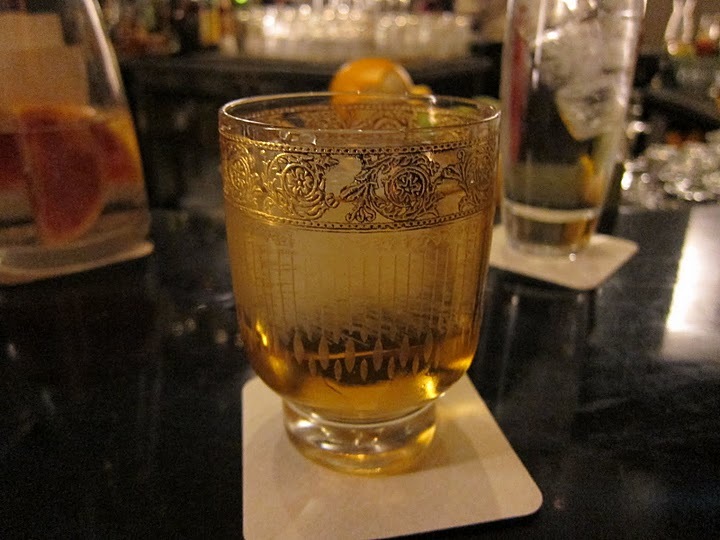 I ended up with a drink called “Unfinished Business,” which was served in a very cool antique glass with a huge block of ice. One of Teardrop's many cocktail options, "Unfinished Business." Having Hotpot recommendations as our guide for the evening took a lot of the guess work out of figuring out what to do and where to go. Even more helpful were the reviews and tips left by my Hotpot friends, so I knew exactly what to order. Using Hotpot on your hops and crawls? Share your stories in the comments below. Posted by Geoff Kleinman. Geoff is the editor of DrinkSpirits.com, a national blog helping people figure out what to drink, and OnPDX.com, helping people figure out what to do in Portland.